Eric Breiner is founder of Peak Camping Hammock, a Hamilton County based hammock brand. Eric is a long-time hammocker and an advocate of getting more people outside enjoying all there is to do. When Eric is not outside in a hammock, you can often find him mountain biking, SUP boarding, trail running and enjoying the outdoors. As the temperatures drop and leaves begin to change, there&apos;s no better time get outside. One of the best ways to enjoy the outdoors this time of year is in a hammock. Imagine setting a hammock up in the backyard to read a book or at a local park to enjoy the company of a friend. Lucky for you, Hamilton County offers plenty of amazing spots to set up a hammock. 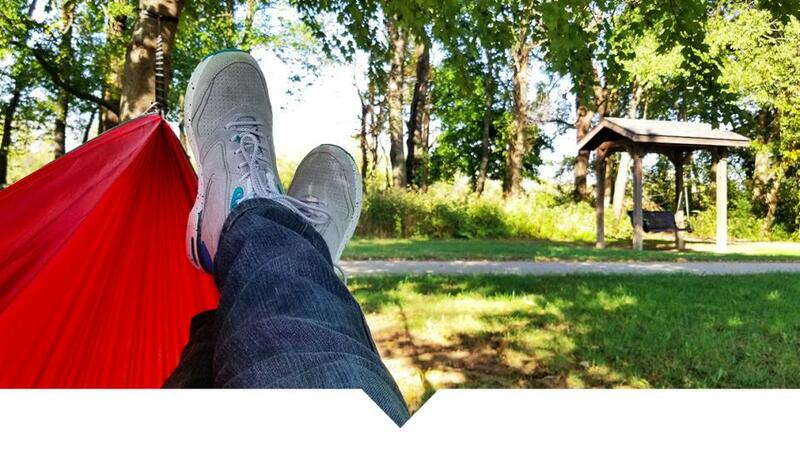 Here’s a list of the top five places to hammock in Hamilton County, Indiana.